Well, this isn't actually my usual work. But, fairly recently we've been going gaga over the Game of Thrones over here. So I thought to myself, why not make sigils for the various groups / teams / organizations etc in anime. So, I started with this. It's a combination of two images, vectored of course. The flame is based on the actual drawing of the Konoha memorial "Will of Fire" (see the link below) and inside the fire is the actual logo of the village of the hidden leaf. 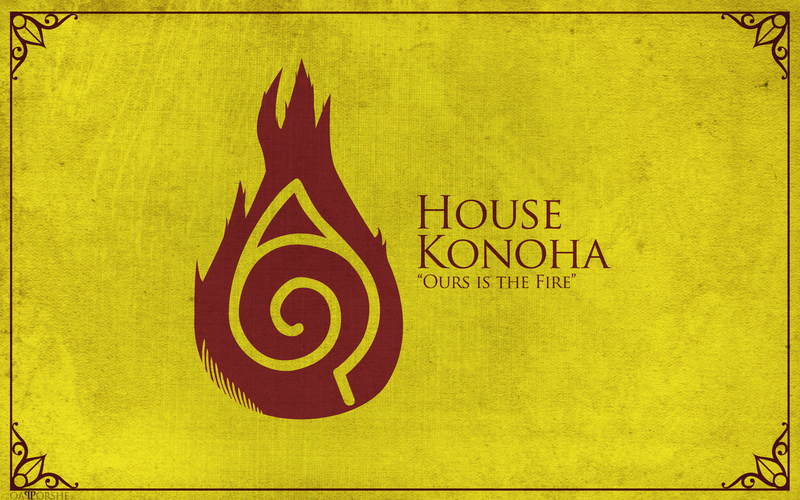 So technically, I wanted it to feel like an insignia of Konoha, akin to the sigils and banners in the game of thrones, hope you like it. More to come. Oh, if any of you have an idea of a good team / group / organization etc in anime you want to make a sigil, let me know. Thanks!